New York, NY - A group of demonstrators is calling for the resignation of New York City Police Commissioner William Bratton. 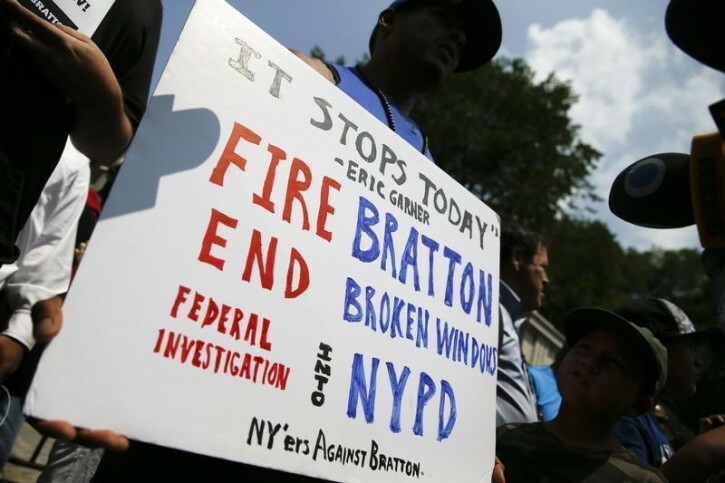 The group, known as “New Yorkers Against Bratton,” held a small protest Monday outside City Hall. A one issue group with one goal. It's too early to judge Bratton on his 2nd go round heading up the NYPD, but he was in no way responsible for the dealth of that overweight seller of loosies.. To think otherwise is sheer lunacy. Lehavdil he should be fired for being too weak.